PARTNER NEWS: Chip maker NXP has produced a new tool to help developers quickly build apps that utilise the embedded secure element in the company’s PN66T NFC module. The Secure Service Development Platform (SSDP) allows devs to test and validate their secure applications on a commercial phone, and can be used to create applications ranging through secure banking, transit, access control, authentication, automotive and more, says the company. 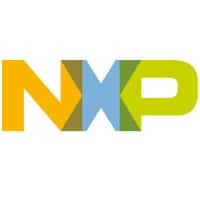 Eindhoven, Netherlands, March 02, 2015 — NXP Semiconductors N.V. (NASDAQ:NXPI) today announced the availability of its Secure Service Development Platform (SSDP) developed to facilitate the rapid introduction of applications that utilize NXP’s NFC and embedded Secure Element (eSE) module, PN66T. The SSDP provides a turnkey approach for the loader service on the PN66T enabling a faster time-to-market for secure mobile applications. Secure NFC applications can now be realized quickly and easily, reducing design effort and resources while maintaining quality levels expected in a commercially available mobile or wearable device. The SSDP is a set of hardware tools and software blocks that enable application developers to quickly start building apps that leverage the eSE in the PN66T. With the platform developers are able to test and validate their secure applications on a commercial phone. As well as providing real-world phone solutions, the development platform also contains example industry use-cases from companies such as Hyatt, 7Eleven and TransportKiosk. The SSDP can be used to create many different applications ranging from secure banking, transit, access control, authentication, automotive, and much more. “NXP’s SSDP makes the rock-solid trust of secure elements much easier for Sequent’s Trusted Services products to manage and leverage in security-sensitive applications like payments, transit, access control, and identity. The SSDP complements Sequent’s Open Wallet Platform, Digital Issuance, and Trust Authority products in dramatically reducing the complexity, time-to-market, and cost of enabling trusted services on connected, mobile devices,” said Hans Reisgies, SVP of Market Development of Sequent. As a leading operator of Secure Mobile Wallet Platforms, TORO unifies through the wallet access to all available security options to offer an mCommerce technical and business one-stop-shop for Banks, Retailers, Transit, ticketing, etc. “NXP’s SSDP offers an access to the high level of security that some service providers need, and at the same time a much simplified user enrolment to new services. As the key focus of our platform is user adoption, we welcome this initiative as it supports our objective to reach all end-users and it improves the on-boarding of service providers to generate a much stronger user adoption,” said Laurent Renard, CEO of TORO. “MeaWallet is a leader in cloud based mobile solutions and has quickly developed a deep competence and understanding of the Secure Element through our work with the SSDP. Being able to validate our solutions on the development platform means that we can support our customers and partners in the enabling of next generation solutions for access, transit and ticketing, further expanding the use of smartphones instead of plastic cards,” said Lars Sandtorv, CEO of MeaWallet. “We are integrating our SP TSM with NXP’s SSDP loader service to enable all service providers — like banks and mass transit companies operating on the Cardtek SP TSM platform — to easily deploy NFC-based services on devices with NXP’s new chip set. This new platform will not only simplify the technology adaptation for vendors like us but also will increase the interoperability and compatibility with smart devices like smart phones, tablets and wearable gadgets,” said Ali Salcı, EVP of Cardtek Group.